This entry was posted in Digital Literacy, Edmodo, iPad, iPads in Literacy, Reading and tagged annotate, collaboration, Edmodo, Googledocs, iPad, laptops, literature circles, reading, reflection, student led learning by mgleeson. Bookmark the permalink. 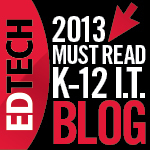 Thanks for a thorough discussion of how you use tech tools in Lit Circles. Edmodo is an old favorite, which continues to improve each year. 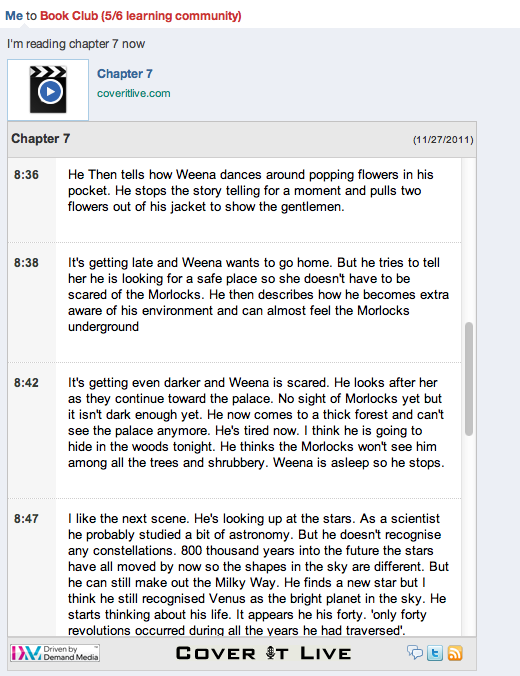 Cover It Live is new to me; I’ll definitely check it and see how we can use it in my own Grade 6 Reading/LA class. Do you ever have concerns for archiving all of the discussions, projects, etc. for accountability reasons? Thanks Keith. Any assignments children do on Edmodo stay within the grades system so are easily accessible. Weekly discussions or other threads started by the students I would tag with keywords so the students or myself could retrieve them if they needed to. Embedded work from other apps were tagged as well. If you are talking about iPad documents being archived, I’m still looking for a consistent file storage system. Anything I can save to Camera roll I can access an app called File Browser which saves to network at school. Email and Dropbox are other ways but not perfect yet as discussed in an early blogpost on sharing apps. Thanks for this excellent post. I am looking forward to implementing these ideas with the Literature Circles I am currently running with my Year 6 class. This is EXCELLENT! I can’t wait to use this in my class! Thank you for sharing! I can see you’re an expert at your field! I am launching a internet site soon, and your details will likely be incredibly exciting for me.. Thanks for all your aid and wishing you all the success. I’m the school librarian at an independent school in NYC, US, and am actually developing an app specifically for literature circles, in conjunction with my school. I so appreciate your emphasis on the depth of conversation that can follow from some of the sharing and developing of ideas beforehand. This is the point of technology– to deepen our experience with the content! 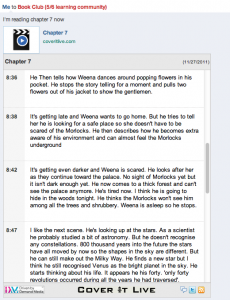 I would also point you to another app, Subtext, which is essentially a social network inside a book. They have recently included a “closed group” feature which is conducive to book groups. I would love to speak with you further to pick your brain a bit about what an ereader specifically geared toward book groups might look like. I’ve been using iPads in a completely different way. Each of my Lit Circle groups consist of 10-12 year 4-6 students, working in pairs to prepare their roles (roles adjusted from the traditional ones to better match AusVels and allow for learning and peer support through partner discussion and analysis). 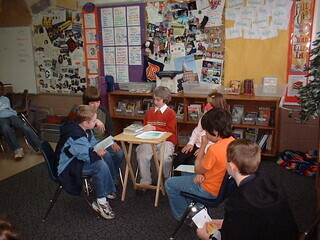 The group then conducts\presents their Lit Circle with myself looking on. The investigators (FileExplorer) code breakers (iBooks) and device detectives (FileExplorer) use iPads and AirServer to present their work on an IWB without leaving their group table discussion. Would love to have a chat and come and see what your are doing and am happy for you to do the same. Please be in contact. Thank you for the information 🙂 Do you think Evernote would work well in lieu of Edmodo as a place to organize lit circle information? Also, do you require students to keep a reader’s/writer’s notebook to log their thoughts as they read?